Is anyone as sick of soccer as I am? Then leave Brasil behind and join me in Argentina! I have nothing against Brasil. Actually, I would love to go there, especially to visit my Brasilian daugher (hey, Lara! ). But not to see futbol. I'm more the artsy type. Theater is my bag. And right now, I am immersed in Argentine drama. 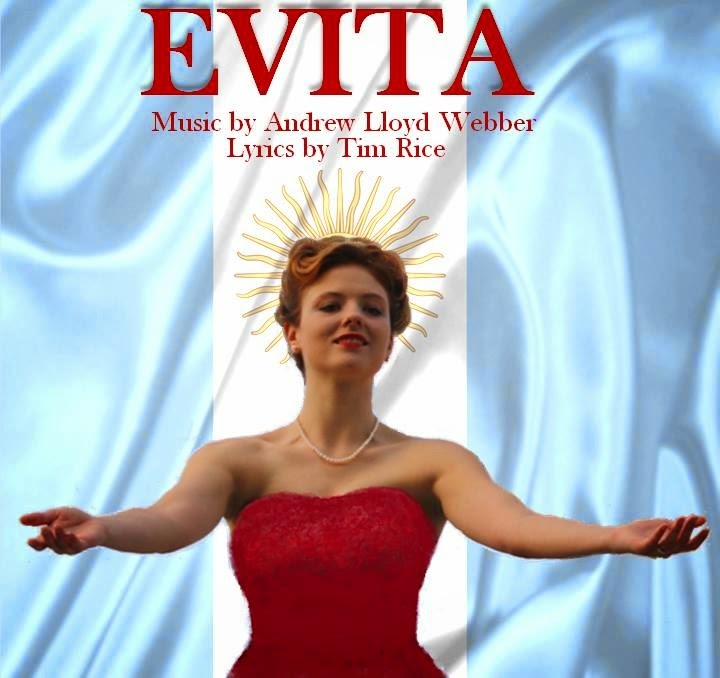 Evita started out as the show I wasn't going to do. I love acting but it hasn't been a priority for me in quite awhile. Theater takes dedication and commitment. It takes a lot of time. Time that I want to spend on writing my next book. So when the director called, I said No.